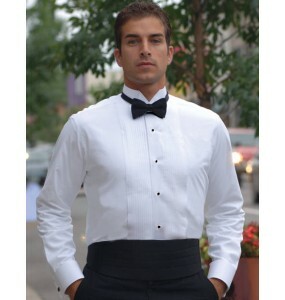 Our Black Short Sleeve Tuxedo shirt is great for staff who work in a warm environment or where the server wears a jacket over the shirt. 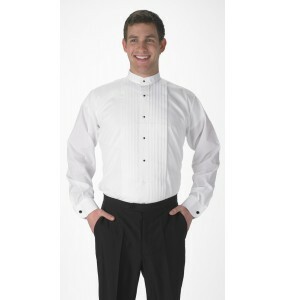 Our tuxedo shirts are perfect for banquet servers, waiters, waitresses, restaurant and catering company staff and any formal event that requires traditional attire. All of our shirts are designed to be durable, stain resistant, and are machine washable. 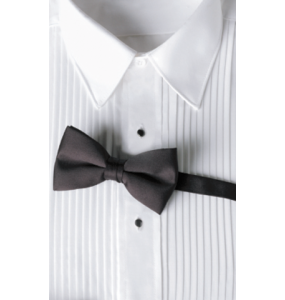 This tuxedo shirt is built with 65% polyester, 35% cotton so that it breathes well but remains starchy enough to have that crisp "just pressed" look.